Recently, Tactus Technology as shown off a prototype Android slate in conjunction with Touch revolution, which is capable of shape-shift from flat-screen to physical button layout and back as needed. This would have been really hard to believe of a product like that but Tactus have been working on this sci-fi-seeming haptic solution. This product can catapult the wireless industry and as a true innovation and can also get much needed tactile feedbacks. The prototype is showed off at this week’s SID 2012. The Screen is reported as will remain the same thickness as no extra thickness for future tablets. 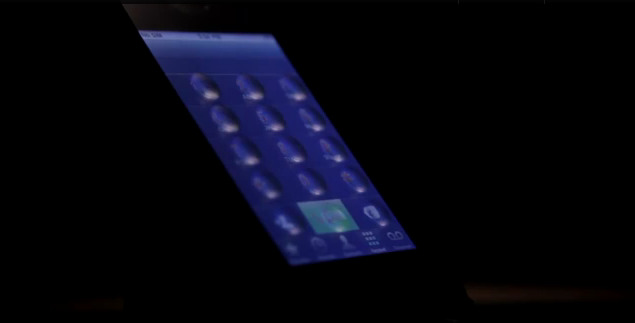 It makes use of the microfluidic tech to make those disappearing User Interfaces possible. The Tactus Tactile layer panel is claimed to be the first deformable tactile surface which creates dynamic physical buttons that users can actually see and feel in advance can even enter data into the device. Tactus also allows the manufacturers to create devices with entirely new ergonomics and form factors. The panel actually is a completely flat, transparent, dynamic surface. When triggered, the thin layer of the screen deforms, and the buttons or shapes of a specific height, size and firmness appears on the surface of the screen. These buttons can be felt by the users as well as pressed down to interact with these buttons. When not in use the buttons recede into the surface and become invisible. According to Mark Hamblin, Founder & CTO of Touch Revolution, the products featuring these touch screen might get available by 2013.